Crafts and Cravings: Happy Canadian Thanksgiving! Happy Canadian Thanksgiving to all of our friends to the North! Being a Canadian based company we are celebrating over at Totally Stampalicious! Show us your thank you cards and maybe you could win a prize!!! 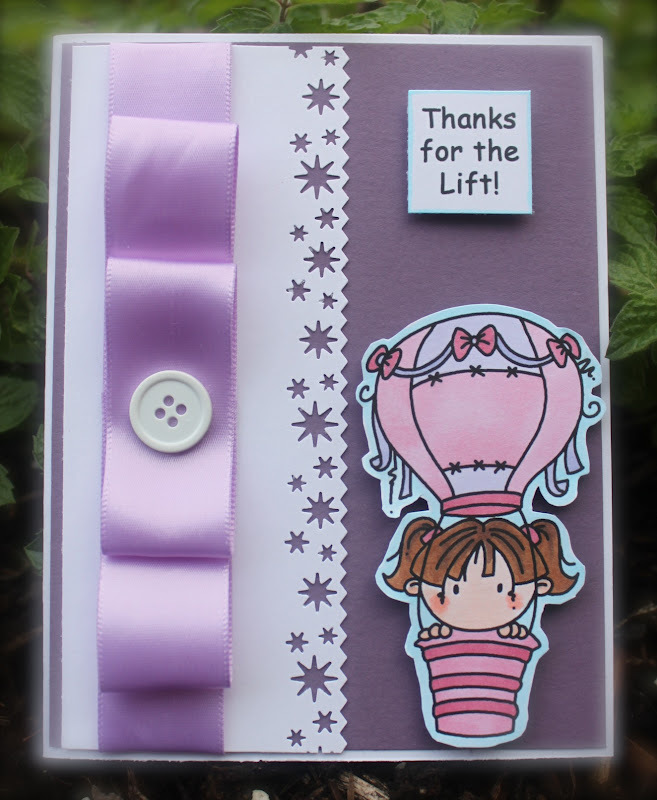 For my card I have used Balloon Kidz Girl that you can find HERE in the Totally Stampalicious store. I have colored this cute image with my copics and then cut it out. The border punch is from Martha Stewart. 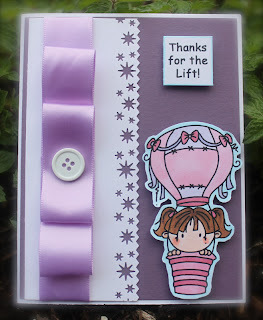 The ribbon is from my stash and is awesome to work with! Make sure you check out the Totally Stampalicious store and find out how to win FREE STAMPS FOR A YEAR! Have a great week! You have made a wonderful card...Great job! 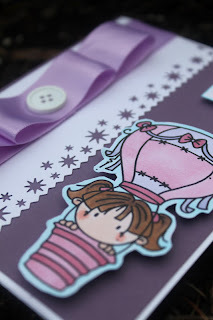 Beautiful card, such pretty ribbon!